Extreame Savings Item! 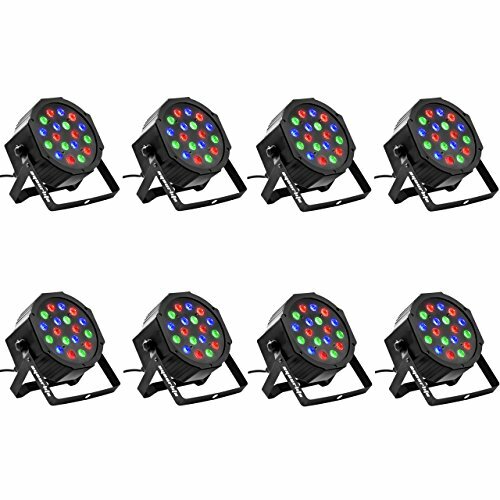 Save 49% on the Eyourlife 8PCS 18 X 3W LED DJ Par Lights 54W RGB PAR64 DMX512 For Stage Party Show by Eyourlife at IGWT. MPN: B-lx-18-3w-8pcs. Hurry! Limited time offer. Offer valid only while supplies last. Leds: 18x3W LED PAR Light(R6,G6,B6), Set your Mood Anywhere. Ideal for Disco. DJ, Ballroom KTV bar Stage, Club Party.